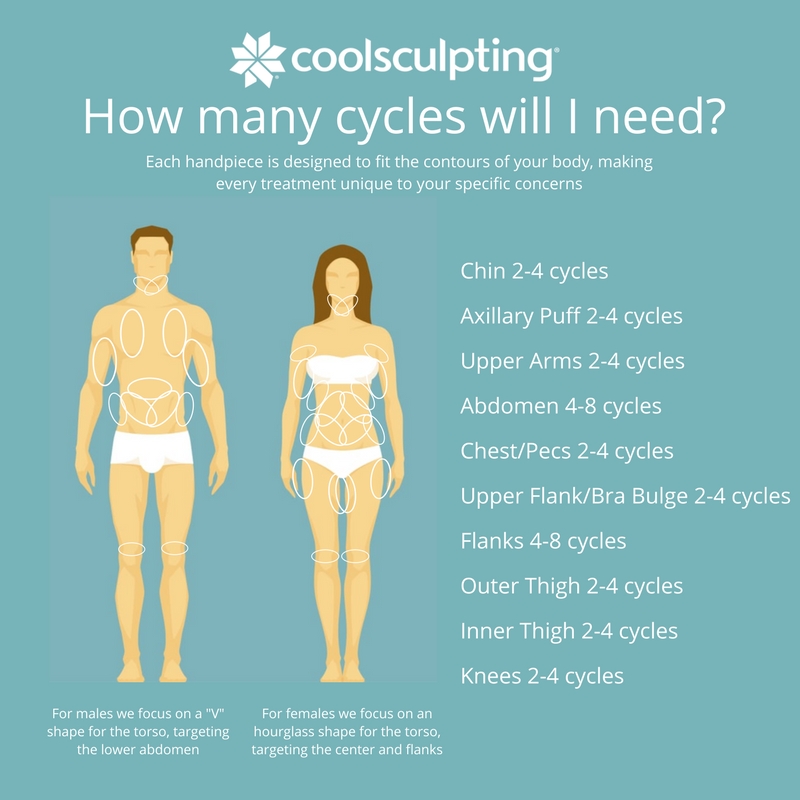 CoolSculpting technology is designed to kill fat in the areas most resistant to diet and exercise such as the love handles, thighs, chin, and bum. This advanced technology has applicators specific to different trouble spots on the body to ensure maximum fat-reducing effectiveness. Oh, those stubborn love handles and that extra abdomen fat! No matter how much diet and exercise you do the fat seems content staying exactly as is. Thankfully we have CoolSculpting, the only FDA approved a fat freezing treatment that can naturally get rid of the fat causing love handles, while flattening your belly, accentuating your abs and giving women that hourglass shape – all without special diet or exercise. You probably did not even know a banana roll could or did exist – until you looked in the mirror one day and seemed to have an extra layer of skin, underneath where your bum would typically end. Thankfully, CoolSculpting not only can make this extra and unwanted bulge go away, but there is a specific tool, the Cool Advantage, and Cool Advantage Plus Applicator, that was specifically designed to make it go away – ASAP. All the sudden the skin under your bra just started popping out. How did that happen? Good news is CoolSculpting can not only get rid of it, but the specifically designed Cool Advantage and Cool Advantage Plus Applicators can do it in a safe, non-invasive manner. This process safely and naturally kills the fat cells immediately below the surface of your skin. The dead fat cells are processed through your lymph system leaving your bra area without the bulge and in its place – the contour and shape you want. At some point, the skin above the knee inexplicably starts to sag. But, it doesn’t have to stay this way! With CoolSculpting’s Cool Advantage Petite Applicator, you can freeze the sag and fat away, leaving you with the sculpted and contoured legs you want – and deserve. The fat that can be removed is the fat area above the knee – the upper knee or distal thigh. Get ready to never see your double chin again with our most popular non-invasive double chin removing procedure! CoolSculpting is the #1 treatment we use to get rid of extra skin on the chin and neck. One of the reasons CoolSculpting is so effective in eliminating double chins is because there is a tool, the Cool Advantage Petite, specifically designed for doing just that! Many of us did not think about how age would impact our arms until of course – we started noticing the skin getting looser and floppier. Now with CoolSculpting, and the special CoolSculpting Advantage Petite applicator specifically made for this problem area, that loose arm skin and fat can be naturally frozen away – restoring your arms back to the contour you remember and love. Want an inner thigh gap and to get rid of that uncomfortable feeling of your thighs rubbing together? The Cool Advantage and Cool Advantage Plus Applicator were designed to do just that! Each CoolSculpting session is non-invasive and safe, naturally reducing the fat in the inner thigh area by 20%. Denver CoolSculpting clients love what the Cool Smooth Applicator can do to get rid of their “saddlebags”, the fat bulging from the outer thigh. Because this area is not quite as “pinchable” as other areas the Cool Smooth Applicator leverages three cool panels with no suction to achieve amazing results and an even more pleasant and comfortable treatment. Get rid of the excess fat and give your legs an overall better contour.